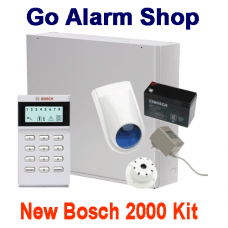 The Bosch Solution 2000 Alarm System Kit can provide eight hard-wired. Examples of alarm devices are movement detectors, reed switches and smoke detectors. The Solution 2000 has an away area and a stay area that's programmable for home or business after hours invasion protection. Meaning it can have a stay area with devices reed switches etc. that will go into alarm if opened while it's after hours. If you install a WE800ev2 wireless remote kit to it, the 3 and 4th key fob buttons can be setup to control your home's garage doors this function can be helpful as you will only need one remote for alarm and garage operation. The Bosch 2000/ 3000 panel comes with an on board PSTN dialer that can connect and communicate through the standard Telstra copper phone line. This connection offers two dialling formats. The first is Contact ID, which is used to transmit alarms to a central monitoring station for paid monitoring services. The second is Domestic dialling programmed for self-monitoring. When the alarm goes off the alarm system dials, the phone numbers programmed when you answer and hear a siren in the earpiece. The only problem with this form of monitoring is it doesn't inform you which zone has alarmed it may be just one zone that is false alarming. With this IP module added it converts the panel to report through your home or business broadband connection whatever format the connection uses i.e. NBN, cable or ADSL the panel will communicate in two ways the first is by IP reporting to a central monitoring station for 24 hours paid monitoring. Another advantage of this module is there is a smartphone app for Android or iPhone. This app allows connection to the panel for remote alarm and output control. It is important to note that the app is different from the 6000 panel and is only available through a wired broadband connection. The first thing to note is that you need to purchase both the B450 PLUG-IN COMMUNICATOR INTERFACE and the B442 PLUG-IN 2G GPRS COMMUNICATOR to enable wireless communication as the GPRS communicator has to plug into the communicator interface and the communicator interface plugs into the panel. It is also important to note that you will also need an enabled sim card from a telco provider. The GPRS module only enables Communication with a 24-hour monitoring centre and domestic dialling self-monitoring. There is no smartphone app or text message enabled as with the solution 6000 GPRS module. 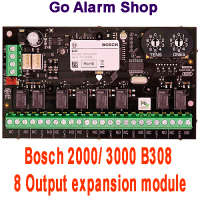 DescriptionThe B308 Output expansion module adds eight extra outputs to the Bosch 2000/ 3000 systems..
DescriptionWith this IP module added it converts the panel to report through your home or business b.. PLEASE NOTE THIS MODULE is hard to SETUP and needs professional configuration by a Bosch Security Sp.. PLEASE NOTE THIS MODULE is highly hard to SETUP and needs professional configuration by a Bosch Secu.. Description The Bosch IUI-SOL-ICON is the standard keypad that comes in the 2000/3000 solution .. Description The Bosch IUI-SOL-TEXT ALPHANUMERIC LCD Codepad is available as an upgrade for.. Description The Bosch ISC-BPR2 Gen 2 Blue Line detector is Bosch's standard detector. It s.. Description The Bosch ISC-BPR2-WP12 Gen 2 Blue Line detector is Bosch's standard dete.. Description The Bosch ISC-BDL2-W12G Gen 2 Blue Line Tri-Tech detector is Bosch's prim.. Description The Bosch ISC-BPL2 Gen 2 Blue Line Tri-Tech detector is Bosch's primary harsh .. Description The Bosch ISC-BPQ2 Gen 2 Blue Line detector is Bosch's quad detector. The dete..
Includes 1 x HCT-4 Remote controlDescription This spare part the HTC-4 Remote works with t.. Kit Includes 1 x WE800e Remote Control Receiver Module 2 x HCT-4 Remote control Descr.. 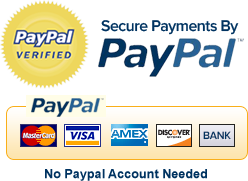 Description This Remote is for the RF3212E receiver and suits all Bosch alarm kits we sell exce.. Kit Includes RF3212E Wireless Receiver Module 2 x HTC-4UL Premium 4 Button Remote controls..
Includes 1 x Raidon 4 Button Remote controls Description This Remote is for.. Kit Includes RF3212E Wireless Receiver Module 2 x Raidon 4 Button Remote control..